PUCK HCKY, the custom hockey apparel brand making big moves in the music world, recently shook things up with the announcement of Snoop Dogg‘s SNOOP x PUCK: A BLAZIN HOT COLLECTION. 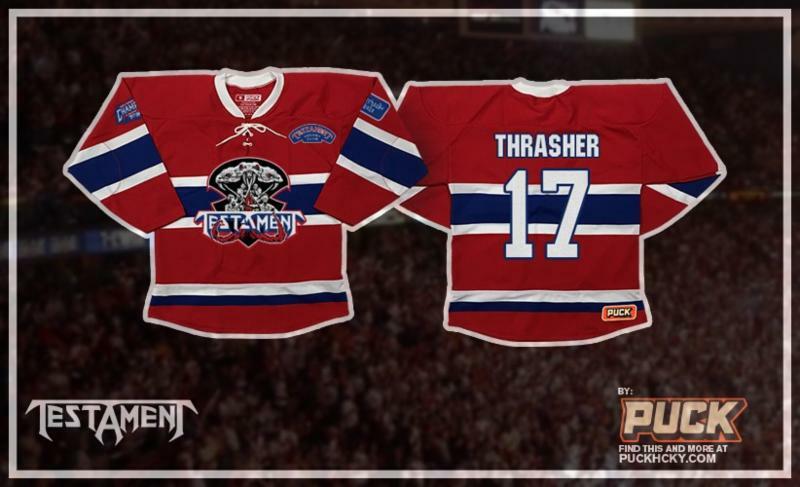 This month, PUCK HCKY is going back to their heavy metal roots by signing on with two forefathers of thrash: Testament and Overkill! 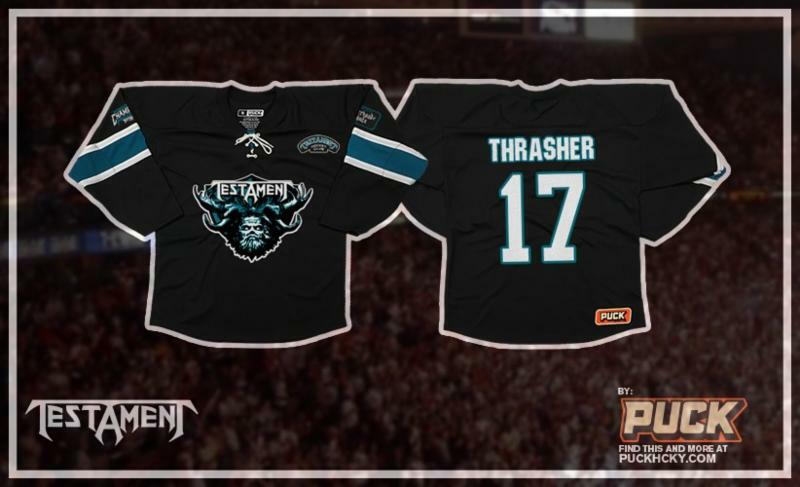 The Testament line, dubbed “Brotherhood of The Skate”, features exclusive jerseys in San Jose colors (the band’s favorite NHL team), as well as jerseys in colors from the first original NHL hockey teams. 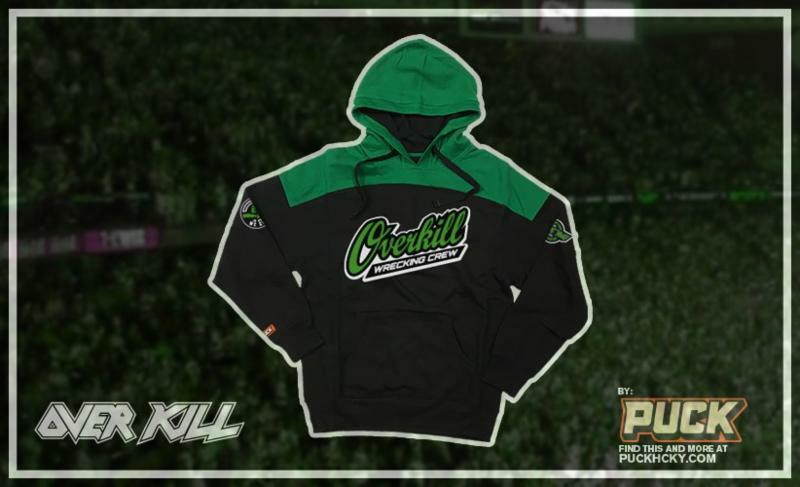 The Overkill “In Union We Skate” line features jerseys, hoodies and more! 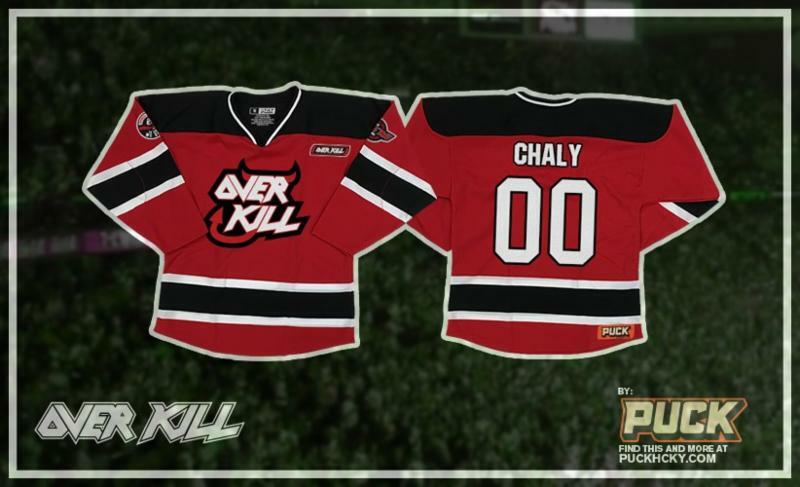 Overkill is PUCK HCKY‘s very first east coast thrash band, so it’s only natural that the colors in the line reflect hockey teams from New York and New Jersey. And of course, several merchandise options come in the band’s favorite color – green! For over three decades, Bay Area quintet Testament–Chuck Billy [vocals], Eric Peterson [guitar], Alex Skolnick [guitar], Steve DiGiorgio [bass], and Gene Hoglan [drums]-has consistently delivered unadulterated, unbridled, and unbreakable metal in its purest form without compromise or any signs of slowing down. Over the course of seminal releases ranging from The Legacy and Practice What You Preach to The Gathering and The Formation of Damnation, which won “Best Album” at Metal Hammer’s 2008 Golden Gods Awards, the group’s sales exceeded 14 million worldwide with 2 million in the U.S. alone. Most recently, 2012’s critically praised Dark Roots of Earth assaulted the charts, moving over 20,000 first-week copies and seizing #12 on the Billboard Top 200. However, in 2016, Testament returned with more teeth than ever with Brotherhood of the Snake [Nuclear Blast], debuting at #9 on the Billboard Top Current Albums chart and at #20 overall. Visit Testament online at www.testamentlegions.com and www.facebook.com/testamentlegions. Although everybody seems to have a different account of who came first in the world of New York/New Jersey area thrash metal, it seems certain that New Jersey’s Overkill have stayed around the longest, and have never let their fans down by remaining musically consistent and true to their roots for over 30 years. There are few names as well respected as Overkill, and with the resurgence of metal in the music world, this band is poised to return to the top. Overkill are ready to show mature metal heads they still have it and are geared up to teach the new schoolers exactly how it’s done. Visit Overkill at www.wreckingcrew.com. 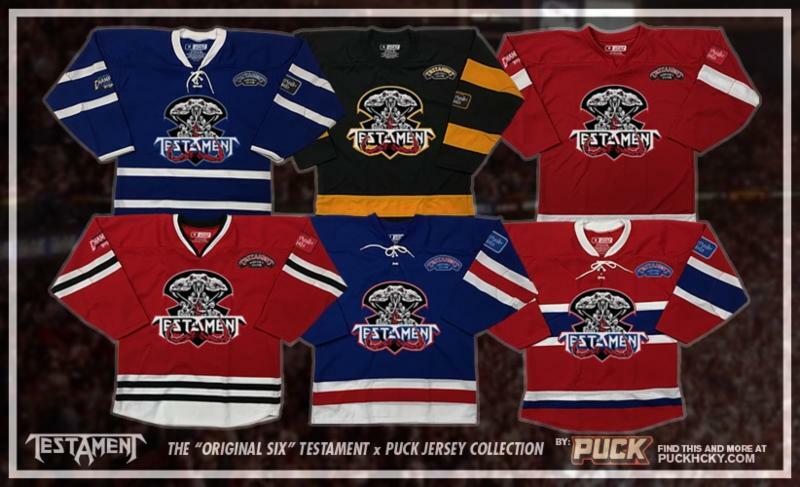 The PUCK HCKY Team Roster currently includes: Snoop Dogg, Testament, Overkill, Hed PE, David Ellefson of Megadeth, All Hail The Yeti, Doyle Wolfgang Von Frankenstein, Ron “Bumblefoot” Thal, Monster Truck, Ice Guardians movie, 36 Crazyfists, First Jason (Friday the 13th), Tomas Tatar (Detroit Red Wings), Marian Hossa (Chicago Blackhawks), Calvin Pickard (Colorado Avalanche), Eric Comrie (Winnipeg Jets) and Thom Hazaert. To order these and other PUCK HCKY merchandise designs, please visit www.puckhcky.com. You can also visit PUCK HCKY on Facebook, Twitter and Instagram.